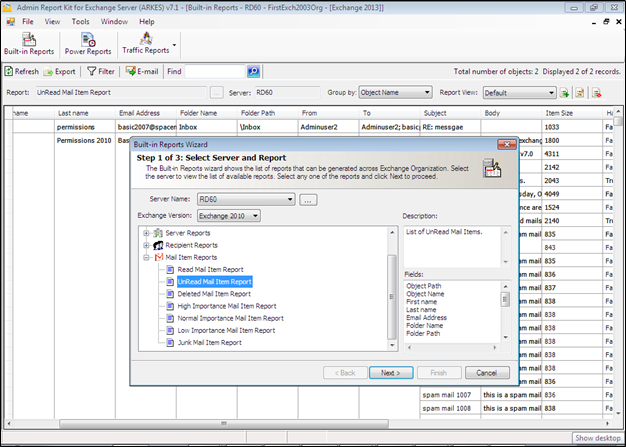 Admin Report Kit for Exchange Server, the reporting tool that provides in-depth reports on Exchange Servers, has been upgraded with some additional features to expand its scope of reporting. The features and their benefits are explained below. ARK for Exchange Server (ARKES) now covers Exchange Server 2013, providing vital reports and statistics on the configuration, usage of resources on the Exchange Server 2013, along with information about its databases. 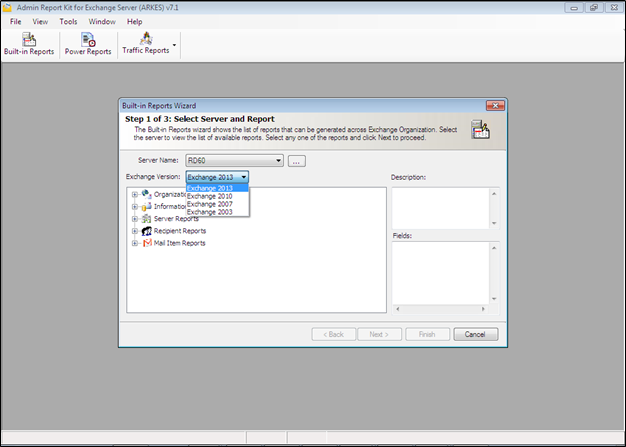 A new option added to the Built-in Reports is the Mail Items Reports. This section provides reports about mails in the Mailbox; providing a summary of mail properties. Given below is a list of reports available under this section. The Mail Item Reports provide a mail summary that consists of details like – From, To, Subject, Body, Date, time created and sent etc. Based on the selection, users can view all mailbox users’ mail items or a single mailbox user’s mail items.